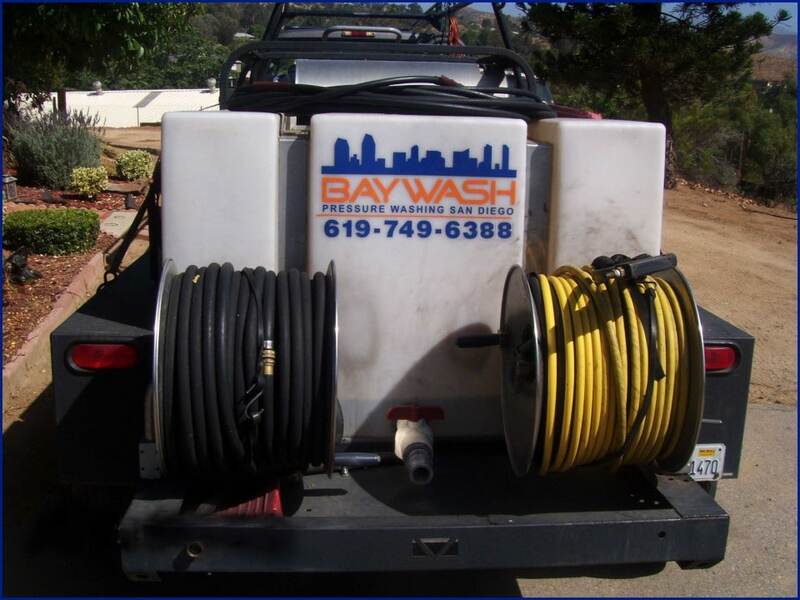 BayWash is a professional, full-service pressure washing company located in San Diego, California. We service commercial, industrial and residential accounts throughout the county. Our state-of-the-art equipment allows us to provide superior cleaning and reclaiming of wash water in accordance with the San Diego Storm Water Management and Discharge Control. We are also fully insured including general liability and worker’s compensation coverage. Baywash offers high quality service at an affordable price. We also provide free consultations and estimates, discounts for multiple properties, and discounts for recurring services. Our pressure washer is a commercial grade machine that can clean many different types of surfaces using water pressure and/or steam up to 3500 psi and 225 degrees. 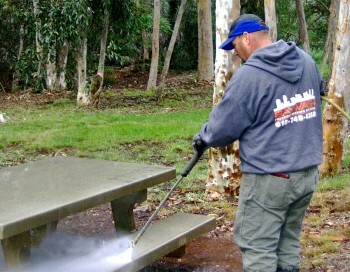 Pressure washing is a safe, environmentally friendly solution to many tough cleaning jobs. 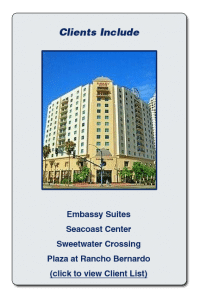 From a patio that needs to be cleaned and repainted to an office complex that is in need of a face lift, whatever your problem, pressure washing is the solution. Our number one priority is you, the customer. Big or small, no matter what the job is, we will get it done to your complete satisfaction. We offer prices that are reasonable and affordable. In all aspects of our business, we are professional, dependable, and efficient. With 20 years of experience serving San Diego County, we strive to build long lasting relationships with all of our customers and hope you will feel free to call us with all of your pressure washing needs. We are dedicated to providing superior service, and creating a strong working relationship with our clients. Your complete satisfaction is our one and only goal. No Matter What Your Cleaning Problem Is, We Have a Solution!